Iran's chief nuclear negotiator, Ali Akbar Salehi, has said his country will allow the UN to inspect its newly revealed uranium enrichment site. He hasn't, however, specified when that will happen. Earlier this week, Iran informed the UN nuclear watchdog that it has a second uranium enrichment facility, causing increased concerns over its nuclear program. The news came as G20 member states – those with the world’s largest economies –gathered in Pittsburgh for a summit, though Iran immediately became the focus of the event. In a statement made at the summit, Russian President Dmitry Medvedev said Moscow is ready to help the UN nuclear watchdog verify Iran's intentions. “The construction of this facility runs counter to UN Security Council resolutions and demands that Iran freezes its enrichment activities. As well as other members, Russia thinks that Iran should study the situation immediately and have the facility inspected and we will contribute to such inspection within our membership in the IAEA [International Atomic Energy Agency]. And we are ready to assist in that investigation and we call upon Iran to provide maximum assistance to the IAEA on this matter,” President Medvedev said. The U.S., France and U.K. strongly condemned Tehran and issued an ultimatum to the Islamic Republic to immediately cooperate with the International Atomic Energy Agency. Iranian President Mahmoud Ahmadinejad has denied that his country violated the rules of the UN nuclear watchdog. He said the new plant will not be operational for at least another 18 months. Ahmadinejad also warned that President Obama would regret his remarks about the facility. Russia's President Medvedev earlier said the situation needed close attention and that members of the six-party talks – the US, Russia, China, France, Britain and Germany – were determined to begin negotiations for the earliest signing of a long-term comprehensive agreement aimed to settle the Iranian nuclear problem. "This meeting will give Iran a chance to demonstrate its commitment to a search for a negotiable solution to this problem," Medvedev said. The nuclear talks between the six powers and Iran are scheduled for October 1 in Geneva. The Russian leader added that he hopes Iran will present convincing evidence “to its pursuit of the exclusively peaceful atomic energy goals, especially in light of the latest information about the construction of a new uranium enrichment site." The leaders of the United States, Great Britain and France have lashed out at Iran. Barack Obama revealed that the facility was located near the town of Qom, which is located 156km southwest of Tehran, and its construction was carried out in secret for several years. He added that the US, France and Great Britain have shared with the IAEA detailed information they have on the facility. The US president said the configuration of the new plant did not comply with the declared peaceful nature of the nuclear program, as Tehran insists, and called for the Iranian government to open it for international inspection. “The existence of this facility underscores Iran’s continuing unwillingness to meet its obligations under UN Security Council resolutions and IAEA requirements. We expect the IAEA to immediately investigate this disturbing information,” Obama said. Nicholas Sarkozy said Tehran must comply with the demands of the IAEA and the international community. If it does not do so, the French president warned, it will face more international sanctions by December. “On 1 October, Iran must now engage with the international community and join the international community as a partner. If it does not do so, it will be further isolated,” he said. “I say on behalf of the United Kingdom today, we will not let this matter rest, and we are prepared to implement further and more stringent sanctions,” Brown said. Earlier, Iran’s IRNA reported that the country has developed a new generation centrifuge, and is now working on scaling up the prototypes to industrial level. The agency said the enrichment center was “similar to the one in Natanz”. The New York Times newspaper reported that the facility will not be online until 2010 and will have 3,000 centrifuges. There was no official confirmation of this information. In August, the IAEA reported that the Natanz enrichment facility in Iran, which has been known to the international community since 2002, has more than 8,300 centrifuges. Iranian leaders said the country needs at least 50,000 to provide nuclear fuel for its future power stations. Iran’s nuclear program is a thorn pricking the sides of international politics. Tehran insists it needs civilian nuclear energy industry to provide its needs. 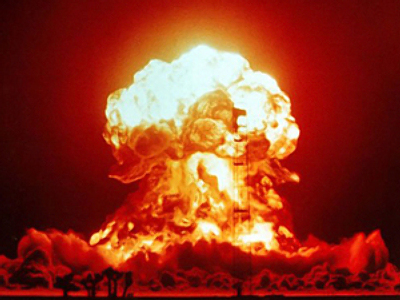 Several nations, including Israel, the United States, and some others, suspect that Iran is developing nuclear weapons. “I think it’s a slap in the face of the international community following the very firm statement that was made at the Security Council Resolution against Iran. I think Iran is trying to play a game here, where they will say: ‘We’ll continue to conduct a dialogue with you, but at the same time we’ll continue to enrich uranium,” commented for RT Dr. Raanan Gissin, a former senior advisor to the Israeli Prime Minister. “Iran shouldn’t not be treated only as a perpetrator, as someone who violates everything,” says Sergey Utkin from the Institute of Global Economy and International Relations. "I think that the first step of the Obama administration to offer a hand to Iran was the right thing to do. And what we have now in these statements by European and American leaders – it’s too much hysteria”. “The international community should be united against the Iranian nuclear program, but it shouldn’t be united against Iran as a country,” he added. Technically, Iran cannot be accused of violating any agreements by building a secret enrichment plant, reports ITAR TASS, citing a source in the IAEA. In 2007, Tehran refused to take additional responsibility for early warning about the construction of new nuclear facilities. The move, which Tehran explained by refusal of the national parliament to ratify such a document, was criticized by the IAEA in late August, because Iran is the only country with a developed nuclear program to do so. As of now, Tehran must notify the International Atomic Energy Agency of any new nuclear-related object 180 days prior to delivering nuclear materials to it. Friday’s reports say the new enrichment facility is not yet operational, so if Iran doesn’t launch it for six months, it would not have breached its obligations, the source said. Political analyst Vladimir Sotnikov from the Institute of World Economy and International Relations believes the Iranian nuclear issue is a bit exaggerated by the world community as Iran doesn’t have the capability to make a single nuclear weapon at the moment. And the new plant Tehran unveiled on Friday is rather small, which makes it unable to produce uranium for the military. “The fact that they [Iranians] actually submitted a letter to the IAEA claiming that they have a secret nuclear installation shows that Iran doesn’t want to create more international opinions against itself,” Sotnikov stressed.